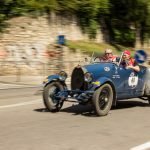 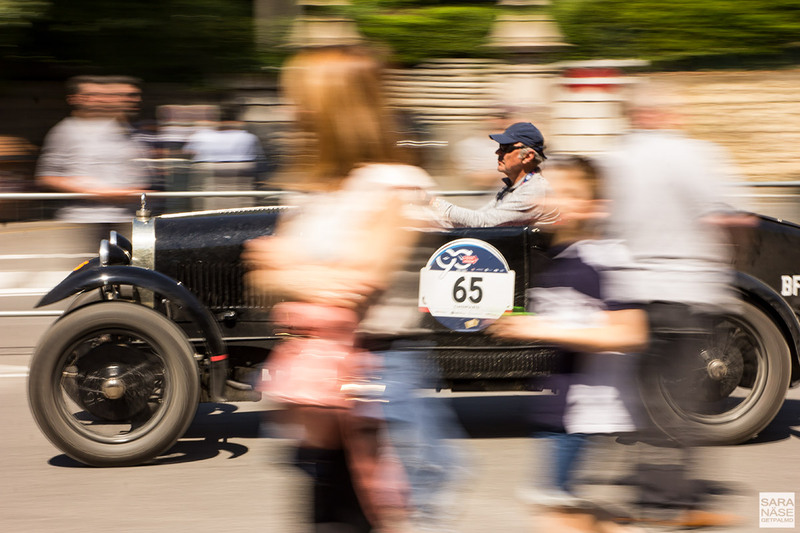 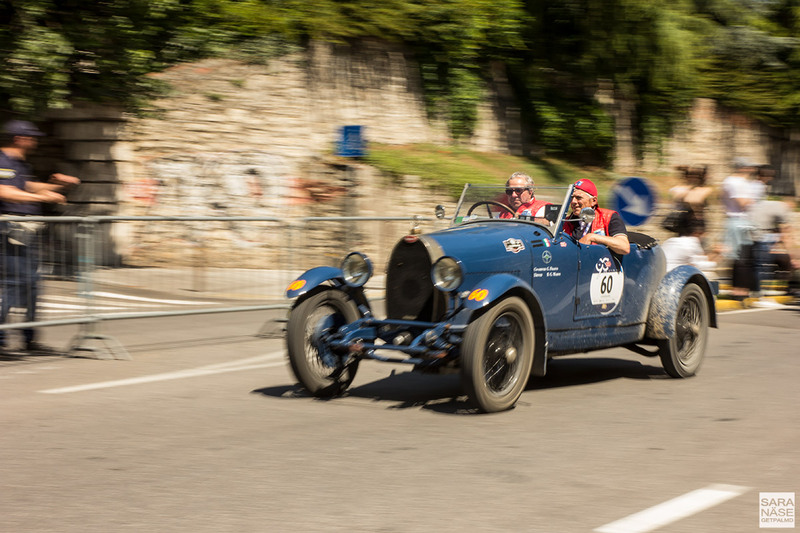 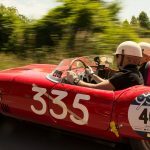 Perhaps the fact that we ended our last day of a classic car race with less photos on the memory card – compared to the previous days – was a sign that on the last day of Mille Miglia we focused on what was even more important – having a lot of fun without stressing out too much. 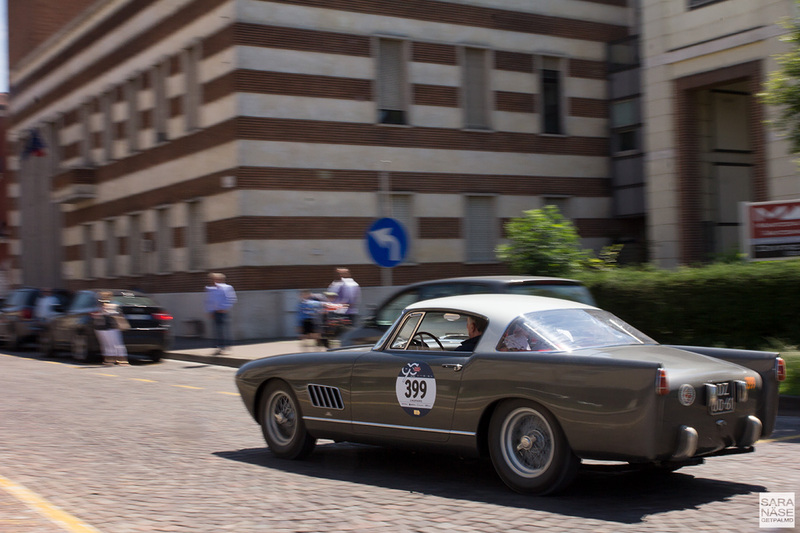 It’s difficult to refrain from taking photos of all amazing cars when you’re right next to them, but at the same time constantly walking with a camera in your hand and always telling yourself “I need content” is not always the best approach either. 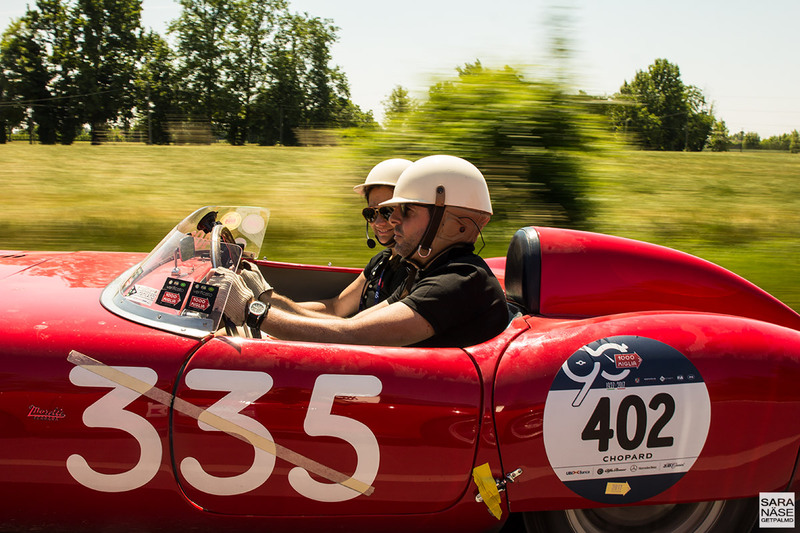 Not when you’re part of something as unique as Mille Miglia, and what you really should do is simply enjoy the journey. 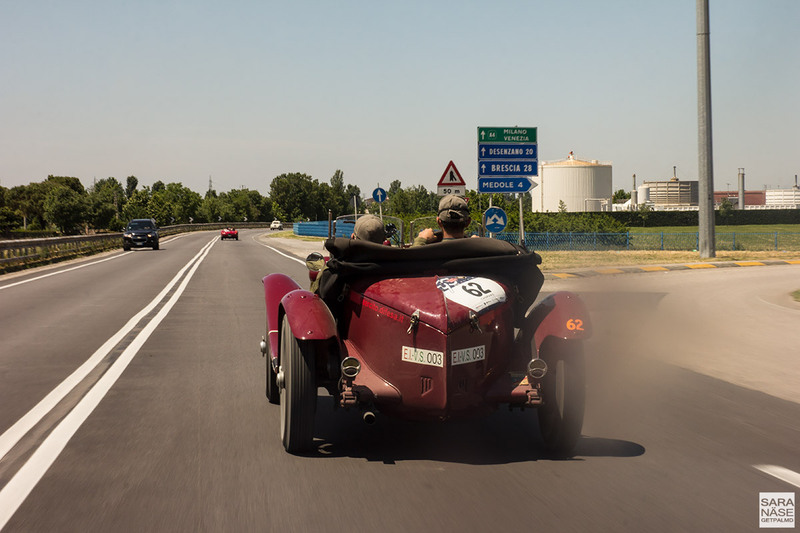 On the last day of Mille Miglia I think we nailed it. 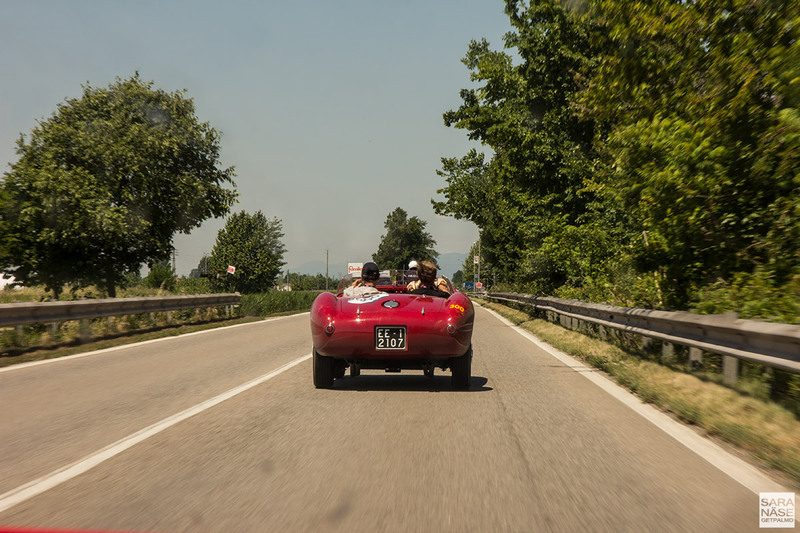 We got caught up by the atmosphere, to the point that I was hesitant to stop to take any photos at all – keeping on driving seemed like a much better idea. 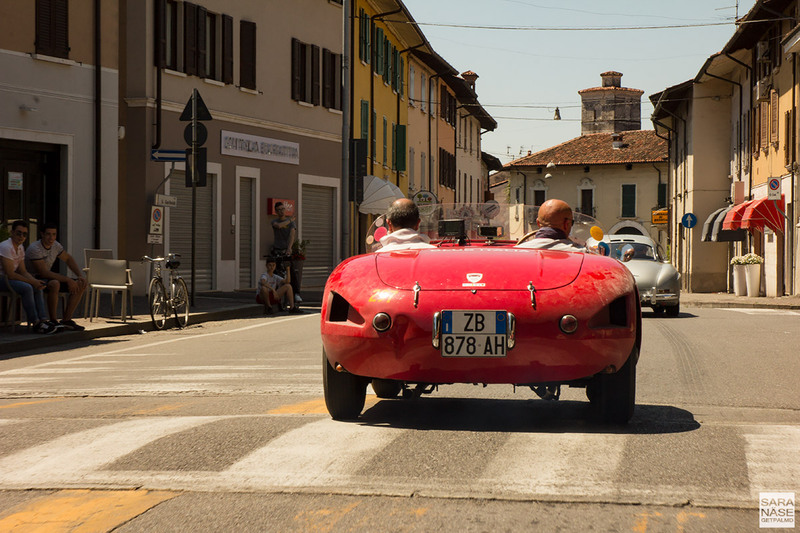 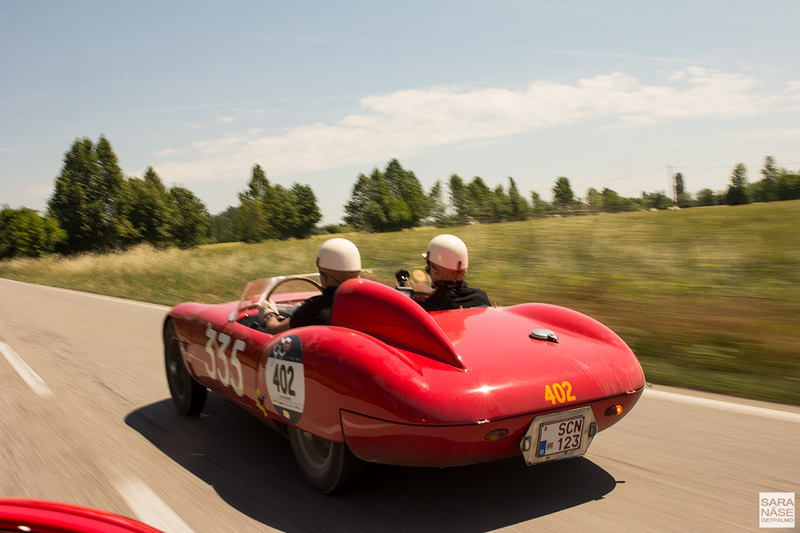 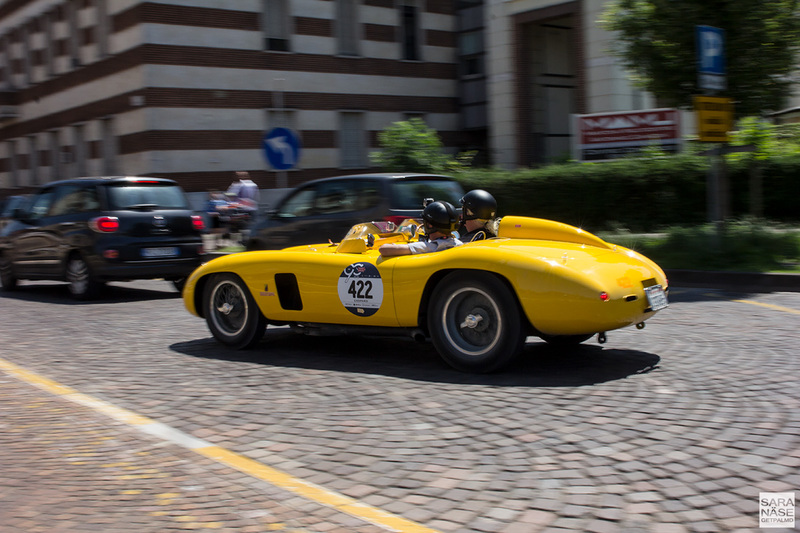 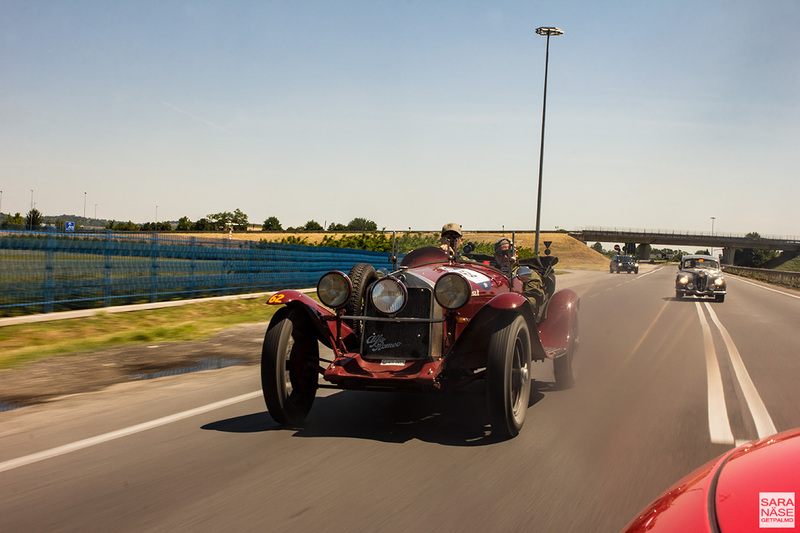 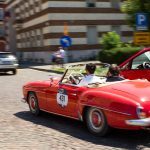 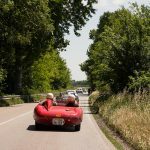 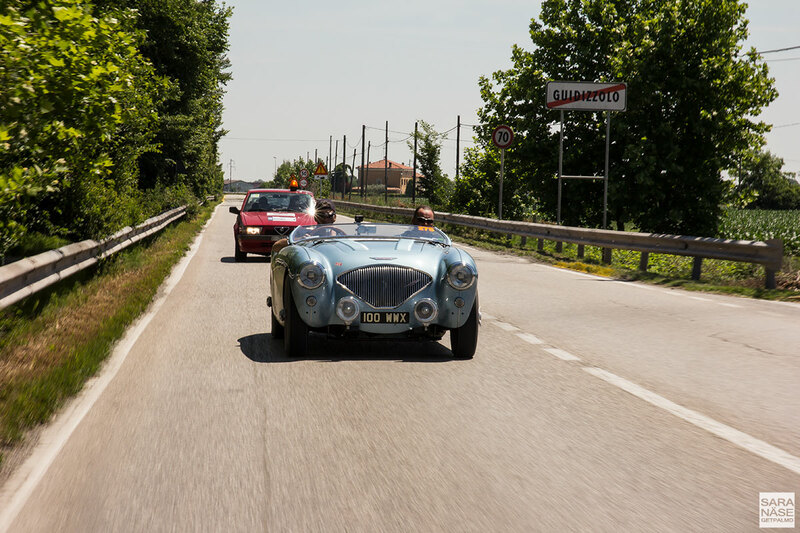 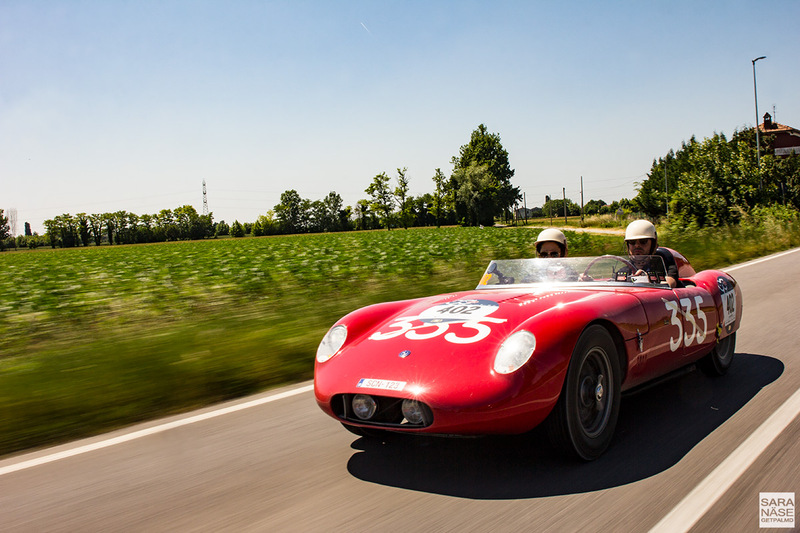 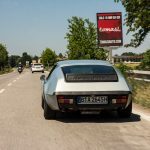 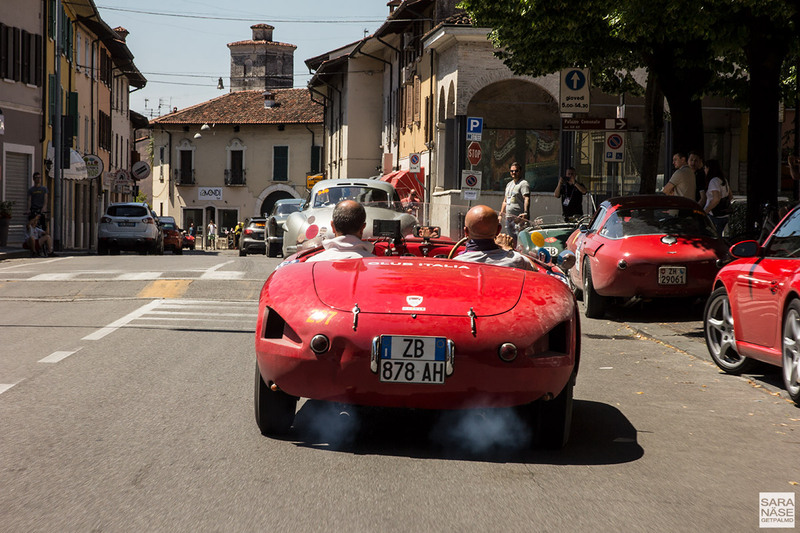 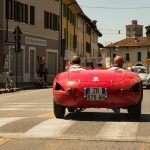 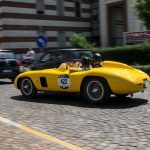 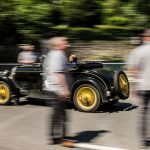 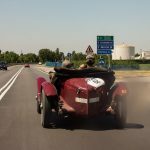 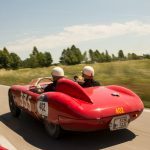 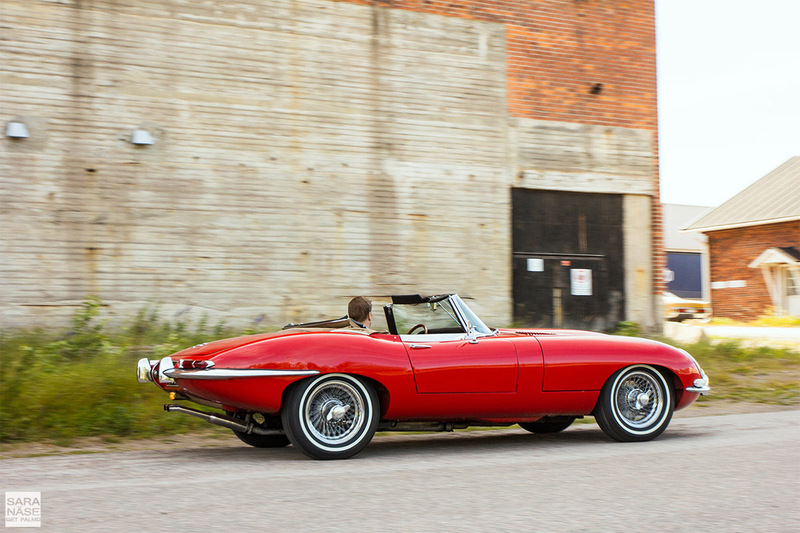 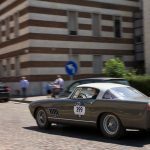 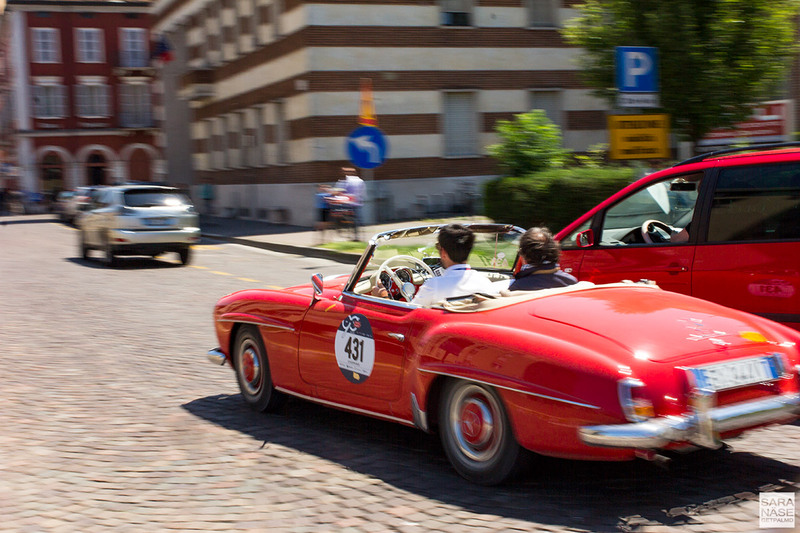 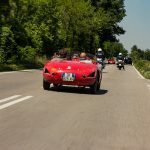 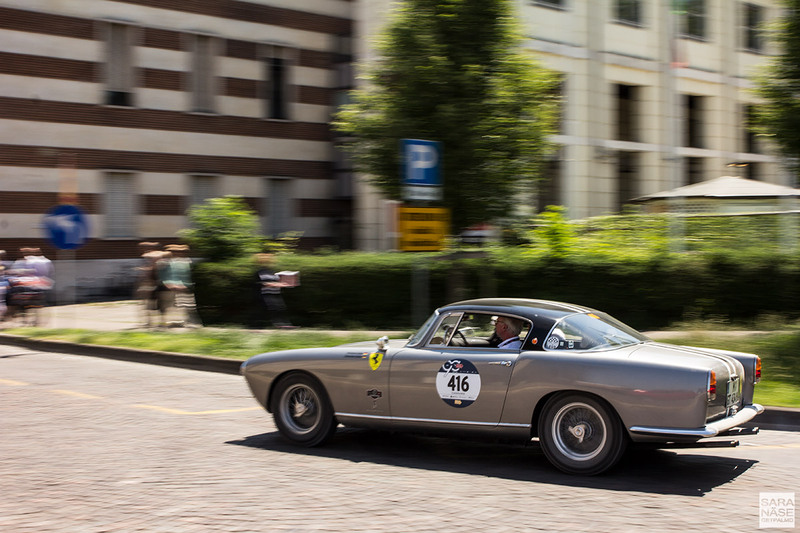 We had such an amazing spot in the convoy, following the world’s most beautiful classic car race on the last leg back to the place where it all began – Brescia. 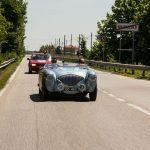 The drivers were in a cheerful mood having made it to the last day – which already is a great achievement considering many cars dropped out of the race during the first days. 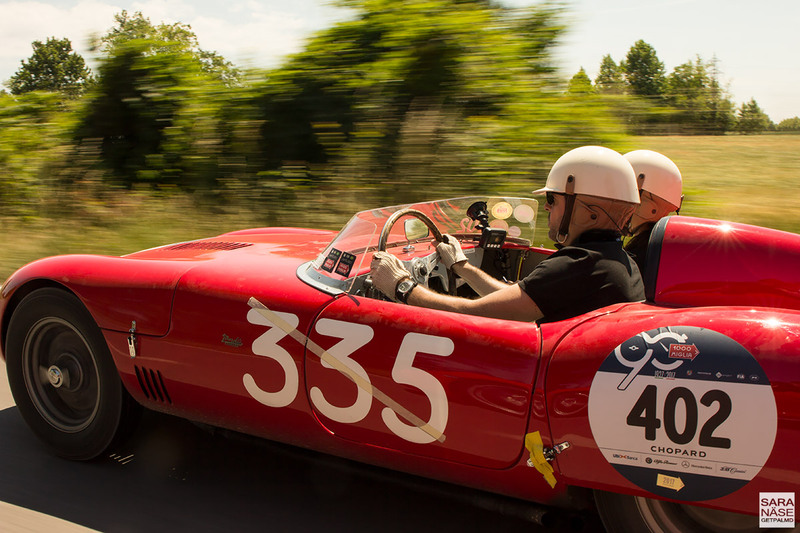 The serious faces were all wiped out – we only saw the happy smiles. 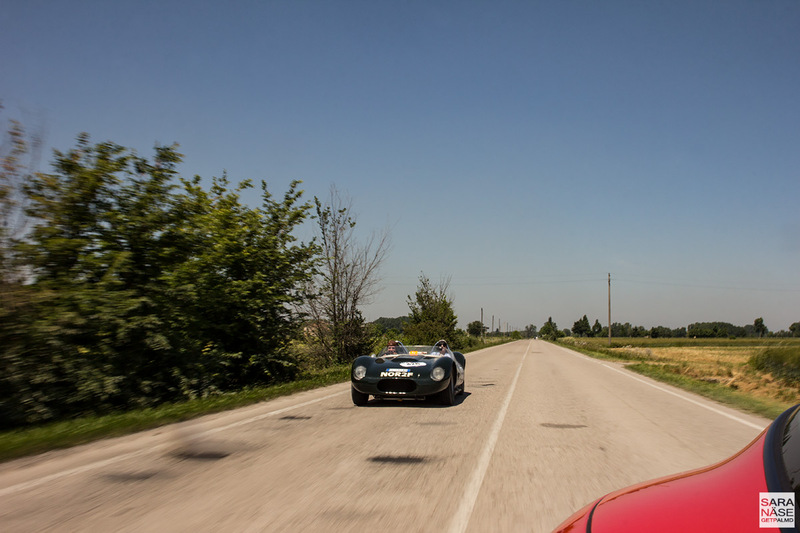 As we got closer to Brescia the landscape changed from deserted country roads, to roads where crowds of people – thousands – had lined up to loudly cheer the drivers through the final stages of the race. 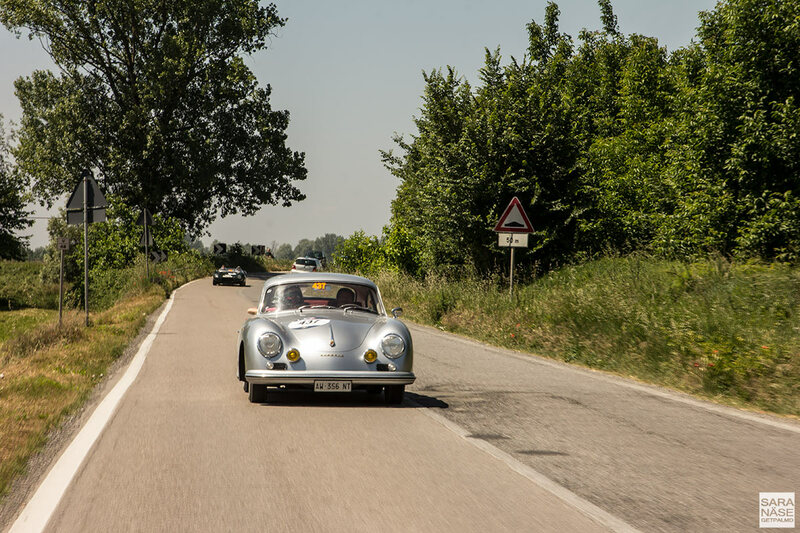 High fives, flattering compliments, fans who worship everything that Mille Miglia represents – and for some of them a modern Porsche 911 was as exciting as one of the classics. 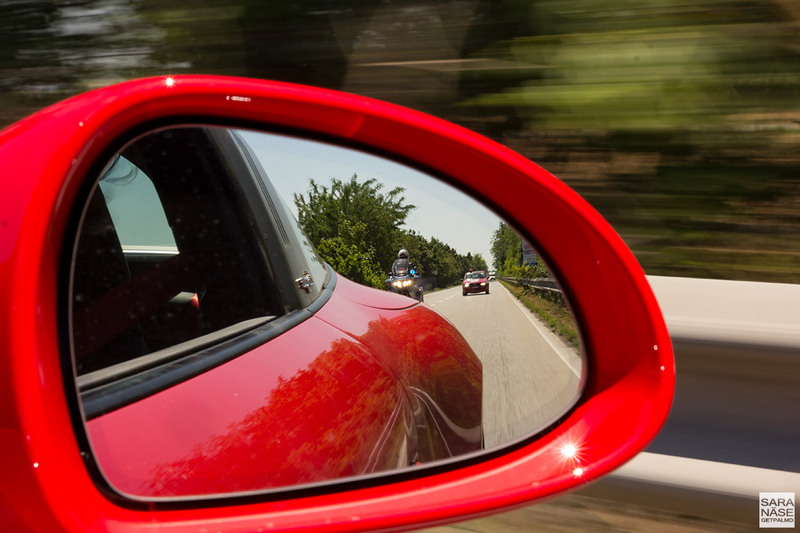 In most cases when you see flashing blue lights in your rear view mirror it’s a sign that you’ve been bad. 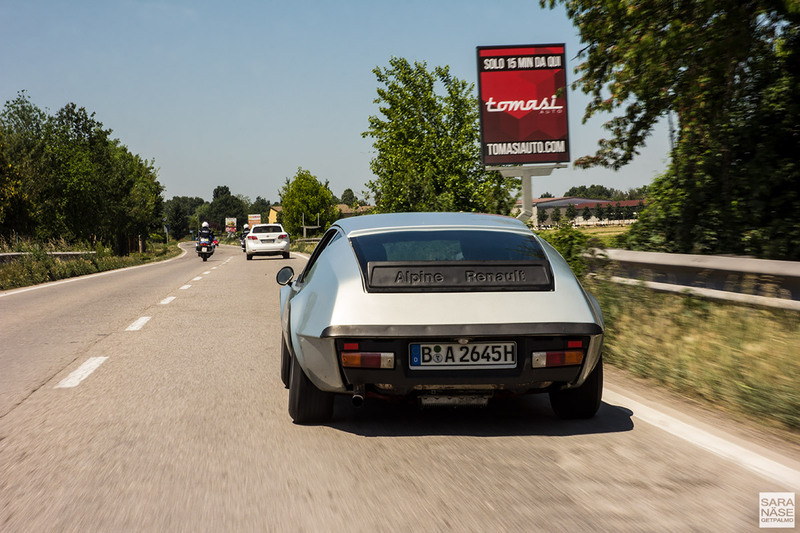 A sign to stop – certainly not go faster. 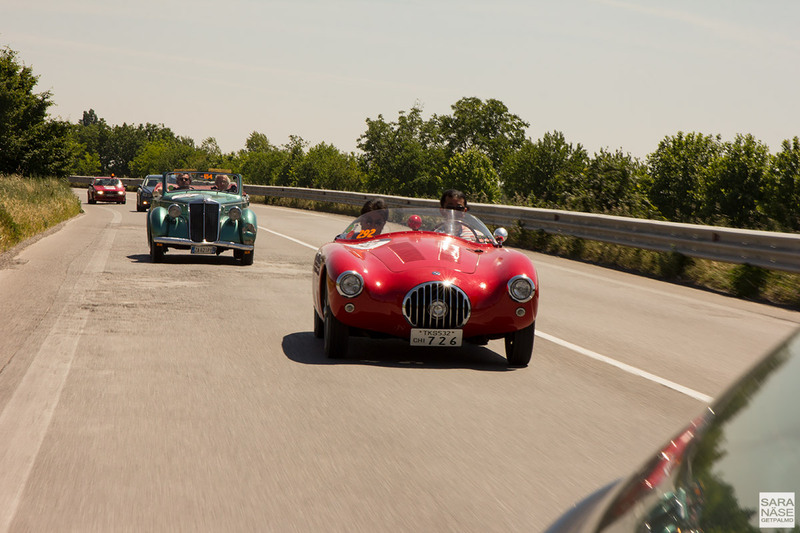 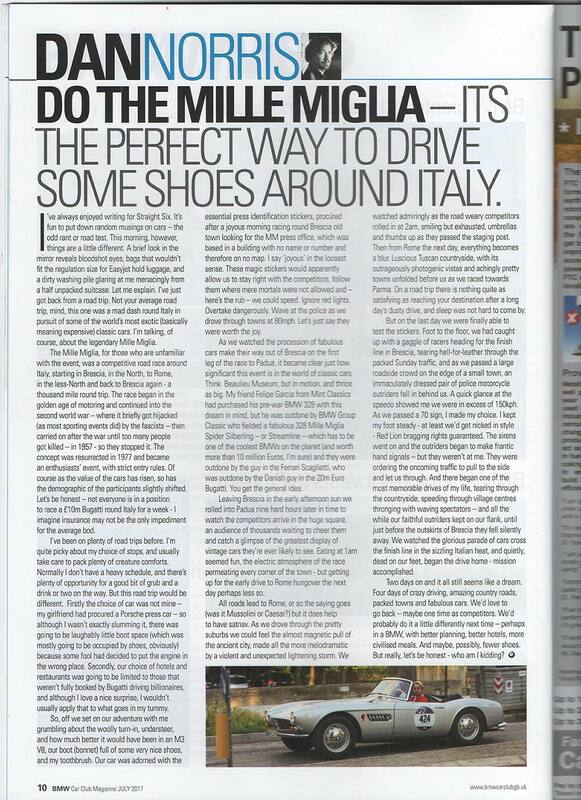 During the Mille Miglia we learned that things are very different on this world-famous classic car race through Italy. 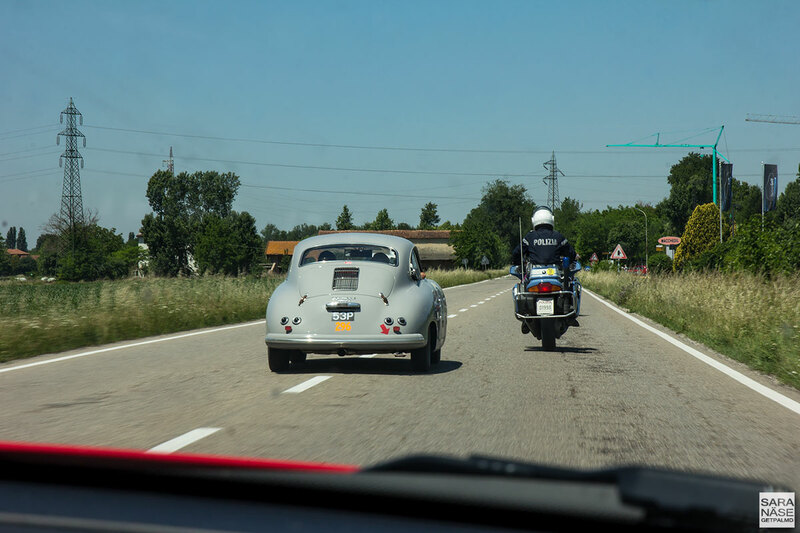 We had the Italian carabiniere on motorbikes escorting our speeding convoy through the traffic, pushing the unlucky ones that did not have race stickers on their car to the side of the road. 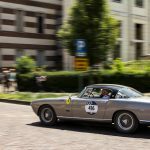 My friend told me before the race – as a friendly advice from a Mille Miglia veteran to a Mille Miglia beginner – that if you have media stickers on your car you don’t have to worry about the police. 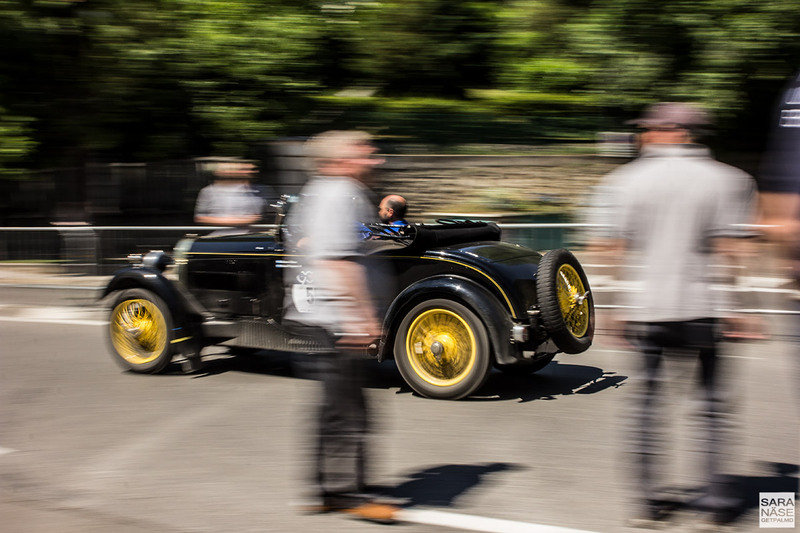 “Just go fast – it’s normal”, he said. 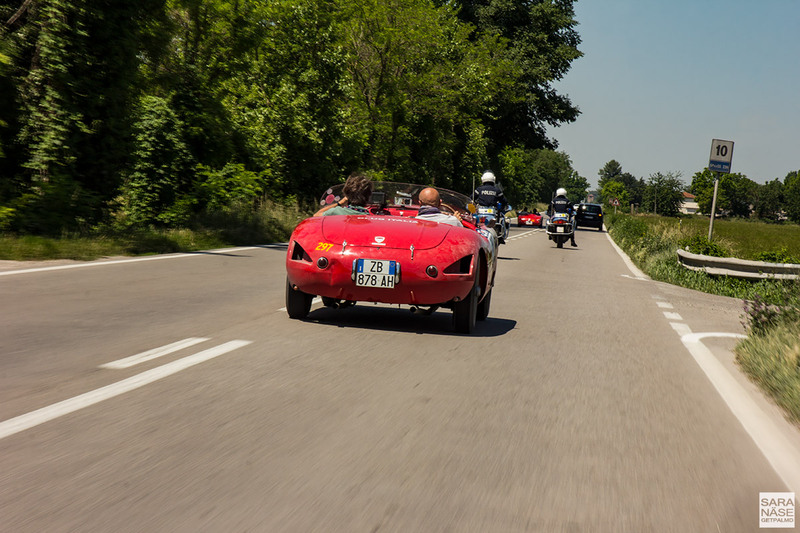 At the time he said that I was sceptical, but several months later as I still haven’t received any speeding tickets from those four amazing days in May, I’m starting to believe that there is some truth in what he said. 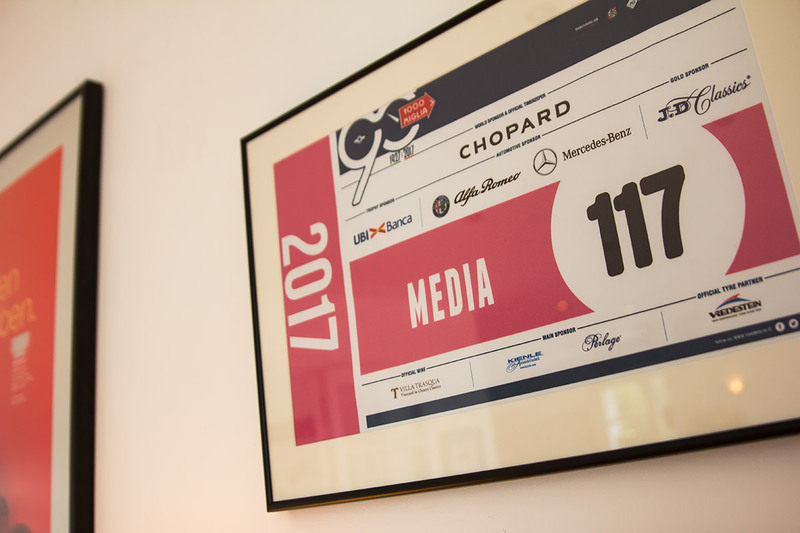 We got away with it. 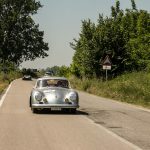 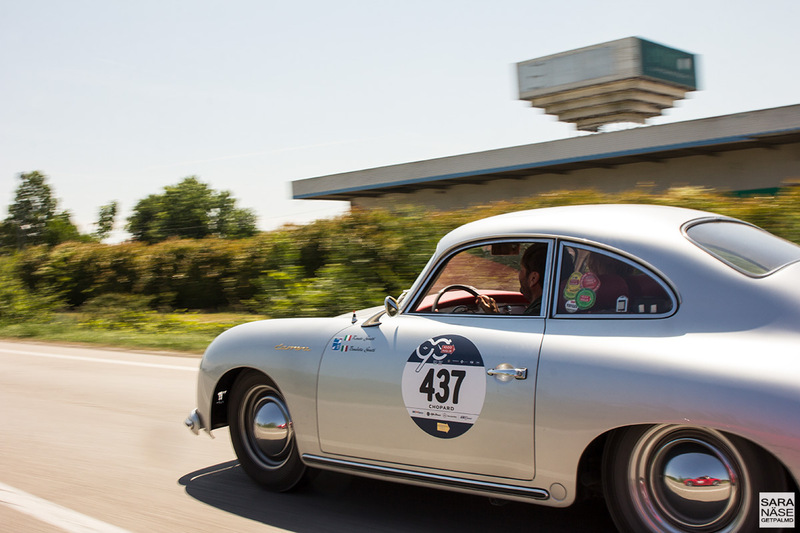 Trying to keep up with a 50s Porsche 356 or Cooper Jaguar Sport during Mille Miglia – while still of course respecting the classic car race and always giving priority to the competitors and their support teams – is not something you should be punished for. 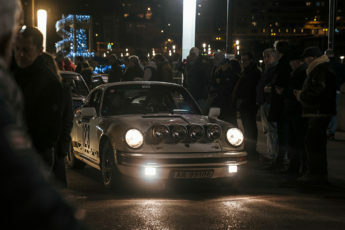 In fact it just shows you’re in the race with the right spirit, supporting fellow drivers and enthusiasts on the road, letting them get on with their important race while at the same time getting a small slice of the cake yourself. 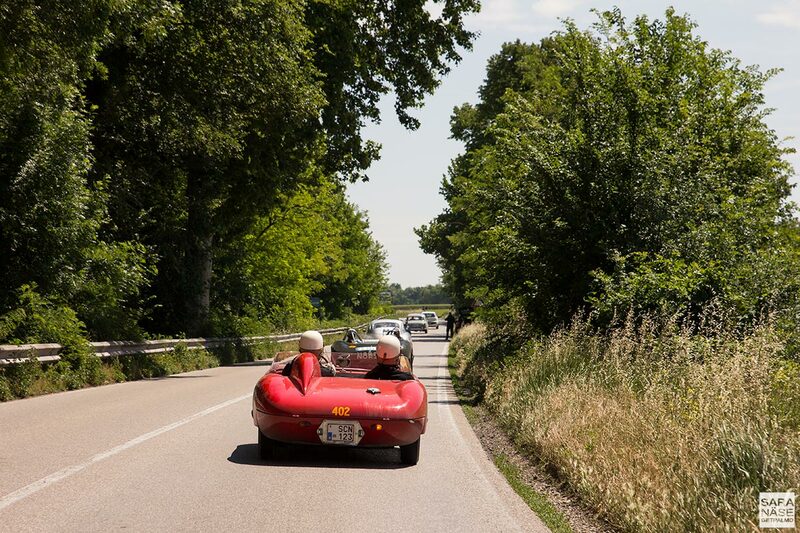 And what a mouthwatering cake Mille Miglia is… The hotels are already booked for next year’s race. 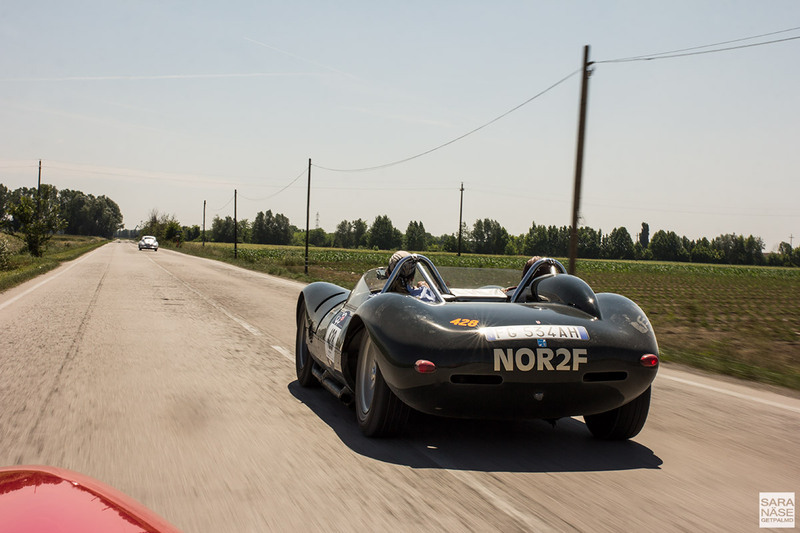 The car is still undecided. 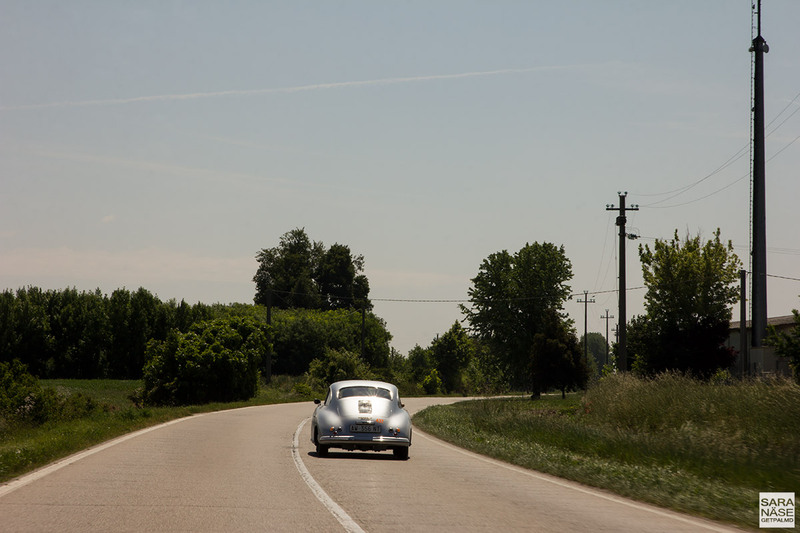 I might need to be persuaded quite a bit for it to be a BMW next year – I was quite happy with a Porsche… All I know is that it’s once again going to be an absolutely amazing adventure.